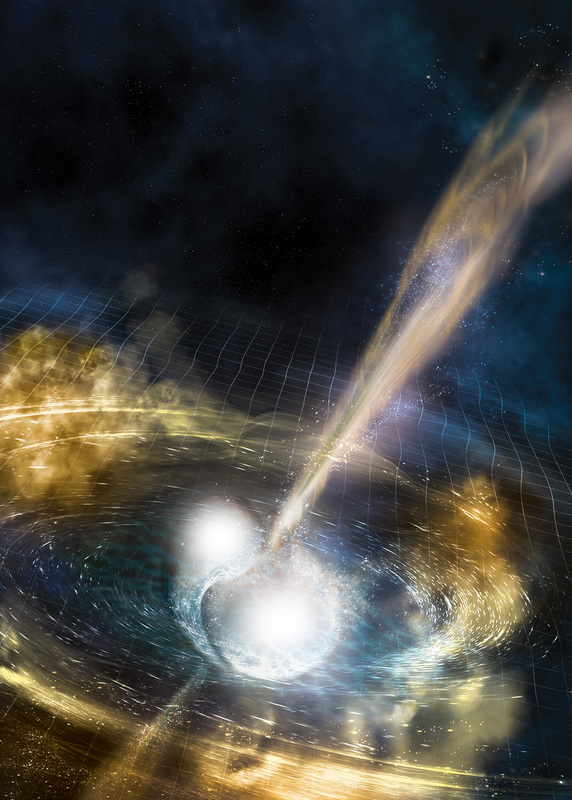 On August 17, 2017, the two detectors of Advanced LIGO, along with VIRGO, zeroed in on what appeared to be gravitational waves emanating from a pair of neutron stars spinning together – a long-held goal for the LIGO team. 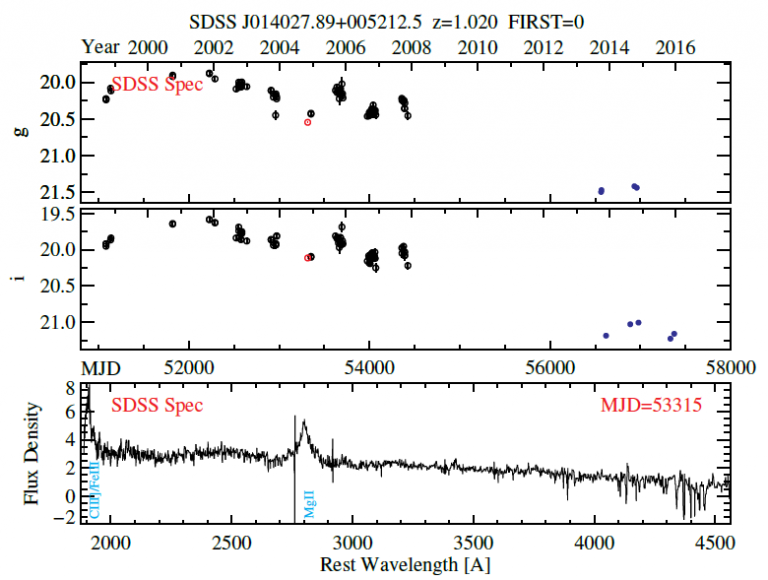 An alert went out to collaborators worldwide and within hours some 70 instruments turned their sites on the location a mere 310 million light-years away. 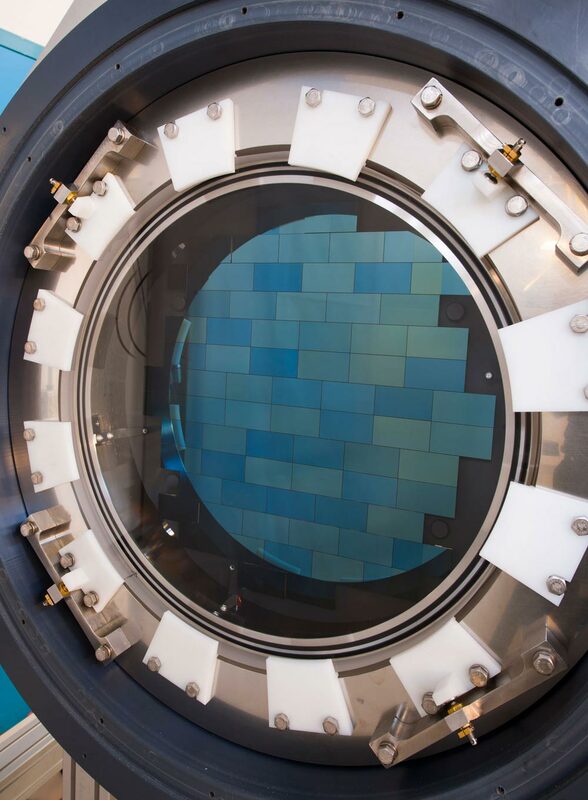 The Dark Energy Camera (DECam), the instrument used by the Dark Energy Survey, was among the first cameras to see in optical light what the LIGO-VIRGO detectors observed in gravitational waves earlier that morning. DECam imaged the entire area within which the object was expected to be and helped confirm that the event was a unique object – and very likely the event LIGO had seen earlier that day. 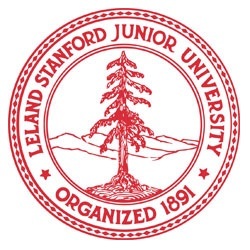 Additional Stanford contributors to the LIGO multi-messenger observation include Edgard Bonilla, Riccardo Bassiri, Elliot Bloom, David Burke, Robert Cameron, James Chiang, Carissa Cirelli, C.E. Cunha, Christopher Davis, Seth Digel, Mattia Di Mauro, Richard Dubois, Martin Fejer, Warren Focke, Thomas Glanzman, Daniel Gruen, Ashot Markosyan, Manuel Meyer, Igor Moskalenko, Nicola Omedai, Elena Orlando, Troy Porter, Anita Reimer, Olaf Reimer, Leon Rochester, Aaron Roodman, Eli Rykoff, Brett Shapiro, Rafe Schindler, Jana B. Thayer, John Gregg Thayer, Giacomo Vianello and Risa Wechsler. 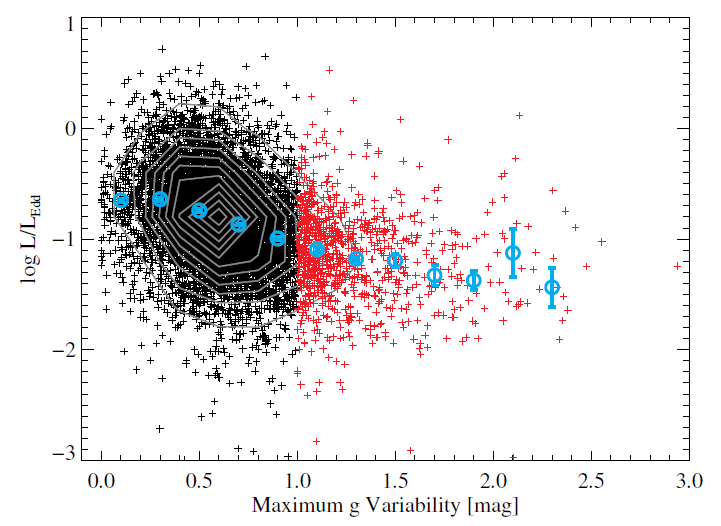 First Results from the Lyman Alpha Galaxies in the Epoch of Reionization (LAGER) Survey: Cosmological Reionization at z ~ 7, Zhenya Zheng et al. 2017, Astrophysical Journal Letters, 842, 22. Renowned physicist Scott Dodelson has been named the head of the Department of Physics in Carnegie Mellon University’s Mellon College of Science. 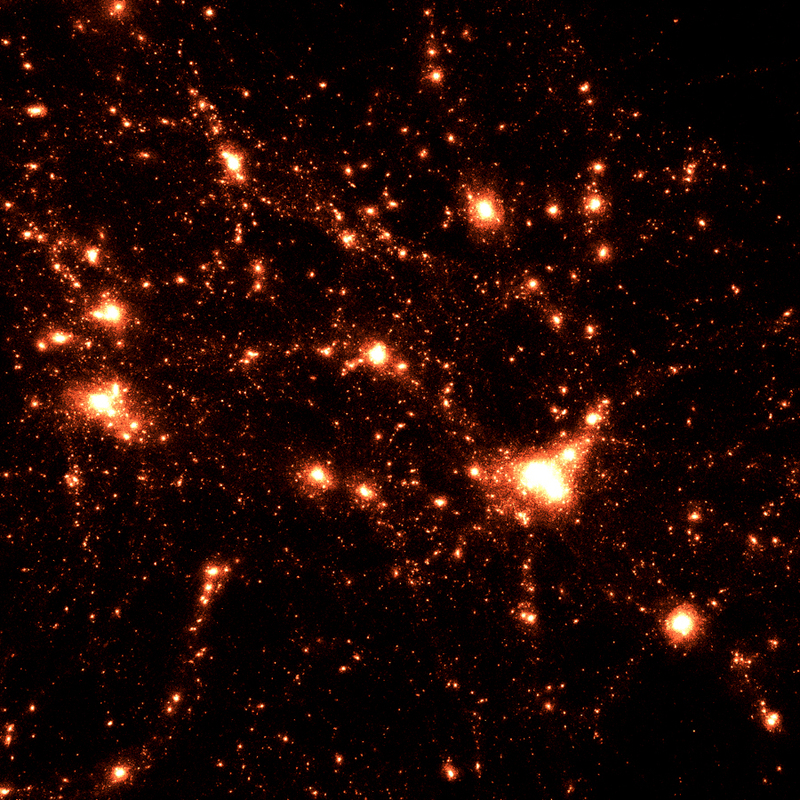 Dodelson conducts research at the interface between particle physics and cosmology, examining the phenomena of dark energy, dark matter, inflation and cosmological neutrinos. He is the co-chair of the Science Committee for the Dark Energy Survey (DES), an international collaboration that aims to map hundreds of millions of galaxies, detect thousands of supernovae and find patterns of cosmic structure in an attempt to reveal the nature of dark energy. 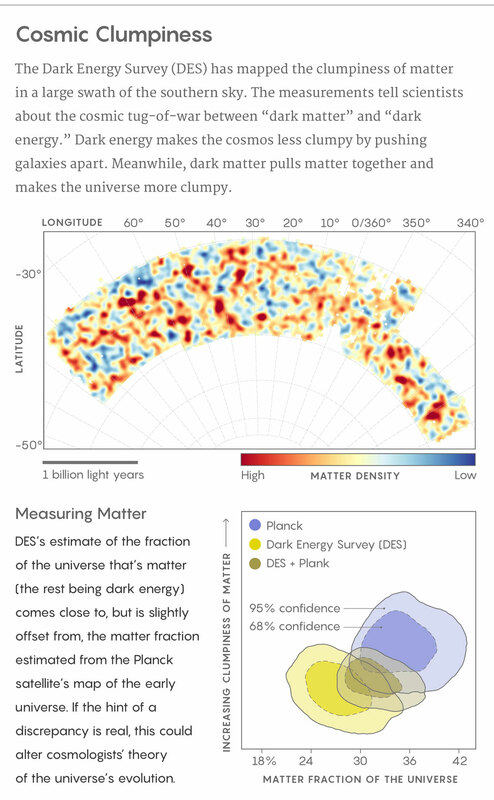 On Aug. 3, the DES released results that measured the structure of the universe to the highest level of precision yet. 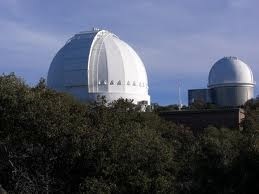 Dodelson also works with the South Pole Telescope and the Large Synoptic Survey Telescope (LSST). The South Pole Telescope studies the Cosmic Microwave Background to gain a better understanding of inflation, dark energy and neutrinos. 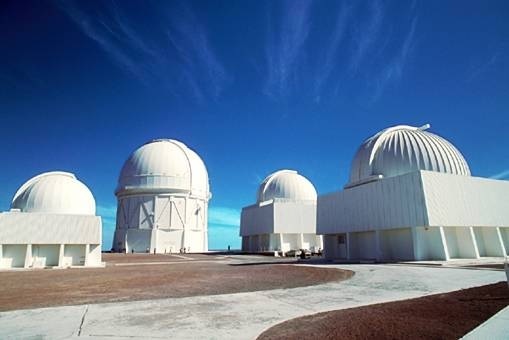 The LSST, which is currently being built in Chile, will survey the sky for a decade, creating an enormous data set that will help scientists determine the properties of dark energy and dark matter and the composition and history of our solar system. 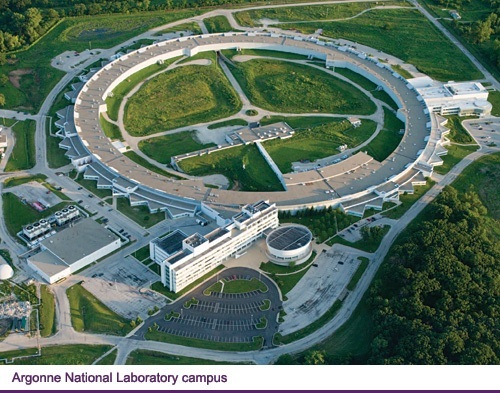 Dodelson was attracted to CMU in part by the physics department’s varied areas of strength and the leadership role the department’s McWilliams Center for Cosmology and its faculty play in a number of large, international cosmological surveys, including LSST and the Sloan Digital Sky Survey. Under Dodelson’s leadership, the physics department will partner with other departments within the Mellon College of Science through a new theory center and continue to collaborate with colleagues in statistics, computer science and engineering. Dodelson also hopes to increase the department’s partnerships with other universities and research initiatives worldwide and bring physics to the community through outreach programs. 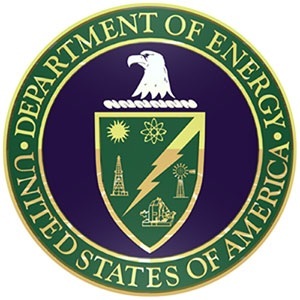 Dodelson comes to Carnegie Mellon from the Fermi National Accelerator Laboratory (Fermilab), where he was a distinguished scientist, and the University of Chicago where he was a professor in the Department of Astronomy and Astrophysics and Kavli Institute for Cosmological Physics. 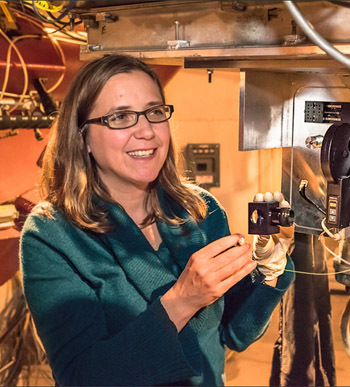 While at Fermilab, Dodelson served as head of the Theoretical Astrophysics Group and co-founder and interim director of the Center for Particle Astrophysics. Dodelson earned a joint B.A./B.S. degree in applied physics and a Ph.D. in theoretical physics from Columbia University. He completed a post-doctoral fellowship at Harvard University. Dodelson will assume the position of department head from Stephen Garoff who has served as head since 2013. 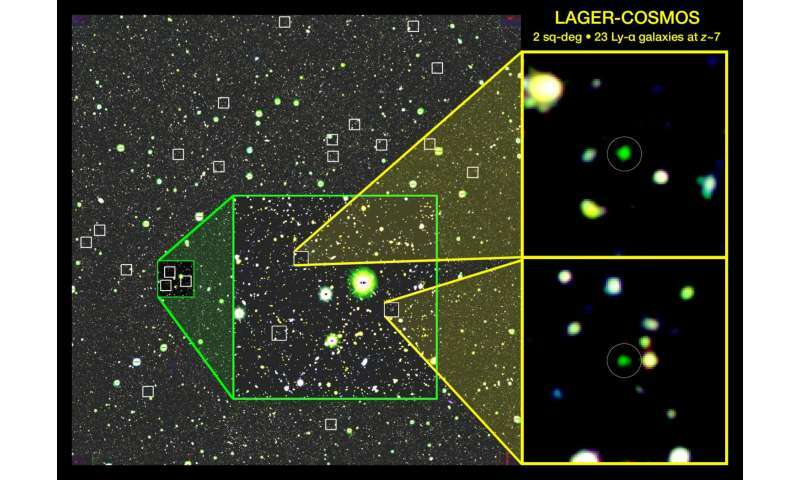 A new study [ApJ] taking this approach has discovered 23 candidate Lyman alpha emitting galaxies (LAEs) that were present 800 million years after the Big Bang (at a redshift of z~7), the largest sample detected to date at that epoch. 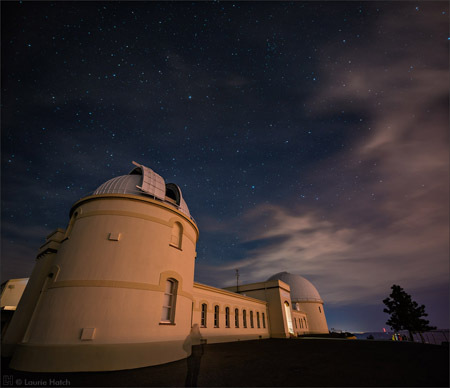 The study, “Lyman-Alpha Galaxies in the Epoch of Reionization” (LAGER), was carried out by an international team of astronomers from China, the US, and Chile using the Dark Energy Camera (DECam) on the CTIO 4-m Blanco telescope. Milestones in the history of the Universe (not to scale). The intergalactic gas was in a neutral state from about 300,000 years after the Big Bang until light from the first generation of stars and galaxies began to ionize it. The gas was completely ionized after 1 billion years. The LAGER study takes a close look at the state of the Universe at 800 million years (yellow box) to investigate when and how this transformation occurred. Credit: NAOJ.